The world premiere of the STARTECH Land Rover Discovery took place at the Frankfurt Motor Show 2017 (IAA 2017). 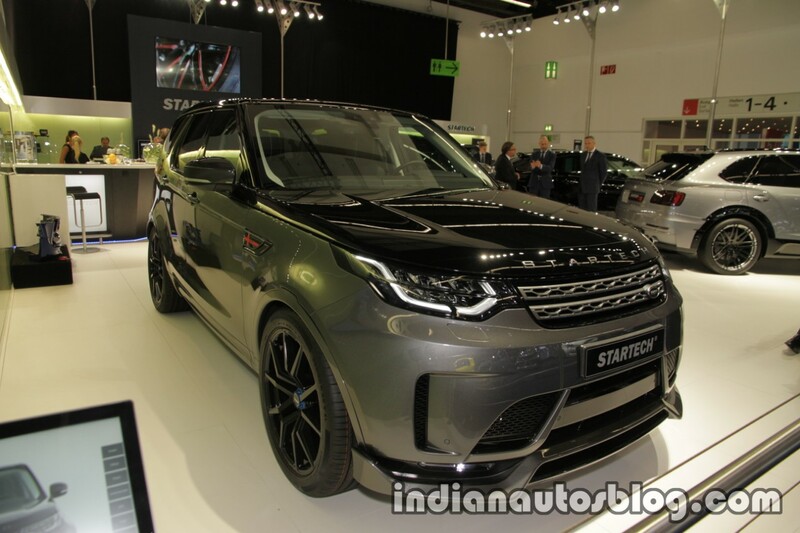 The body kit by STARTECH for the Land Rover Discovery adds a front spoiler with distinctive raised side flaps to the production spec bumper. The spoiler serves a functional purpose by reducing lift on the front axle. Complementing the changes to the front, the rear bumper also gets a diffuser like addition. It also adds integrated tailpipe embellishers. The rear bumper addition has been designed to attach to car with a trailer hitch as well. The STARTECH Land Rover Discovery gets red and black 'Union Jack' design inserts on the front fenders bearing STARTECH branding. The show car is finished in a dual tone shade with a gloss black finish for the hood and roof. 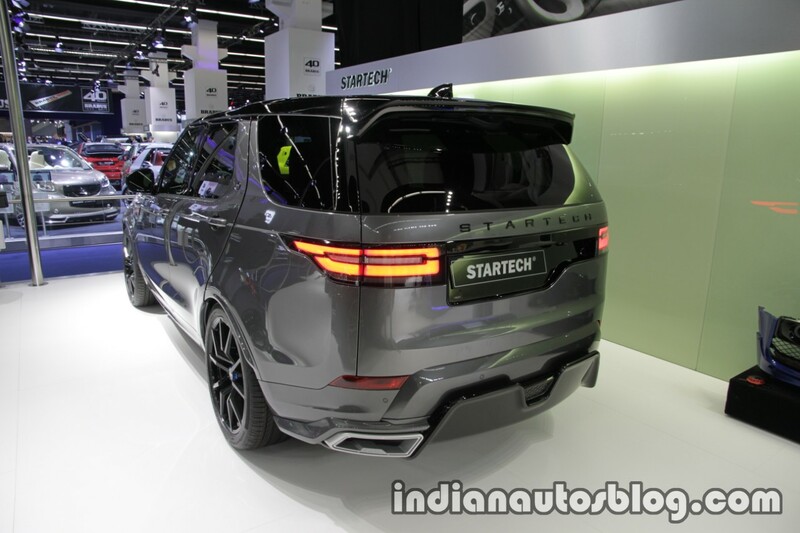 STARTECH has also equipped the Discovery with 22-inch Monostar M alloy wheels. Their design features five double spokes and a wheel hub cover, which has been made to look like a centre lock. The STARTECH Land Rover Discovery rides on 295/40 R 22 section Continental low profile tyres. The interior accessories package includes illuminated scuff plates and floor mats with 'STARTECH' branding along with aluminium pedals. The company will offer customers a plethora of customisation options in the interior including leather and Alcantara upholstery. The SUV can also be had with noble wood and carbon trims for greater personalisation.